We all know that there is more than one way to prepare barbeque, and everyone has their favorite method as well as their favorite recipes to use when it comes to some good homemade barbeque. You may have grilled your barbeque many times, but how often do you smoke your meat? Smoking and grilling are two different methods of preparing your meat on the grill. Many master grillers already know this, but beginner grillers may not realize that there is a difference. Smoking your meat takes a little bit more time to do and requires a bit more patience. It’s all about slow and easy to get the type of tender meat that falls right off the bone. 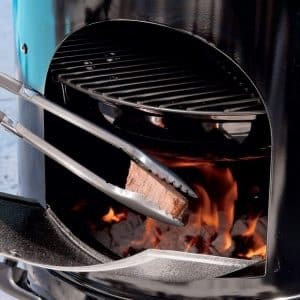 Instead of charcoal only for grilling, with smoking you may also use your choice of wood chips (which come in a variety of different smoke flavors). An important factor of smoking meat is to ensure that you keep as much of the smoke inside of the smoker as possible, meaning that you will only check the doneness of the meat when appropriate. A grill would work just fine for smoking meat, but it is best to have a smoker, because it is designed to keep the smoke inside the smoker to properly saturate the meats with the smoke and the flavor of the wood chips, so that the end result is nice, juicy, tender meat. Have I got your attention yet? Are you interested purchasing a smoker to acquire that nice smoky tasting barbeque? If so, then let me introduce you to a high quality, best-selling smoker known as the Weber Smokey Mountain Cooker Charcoal Smoker. 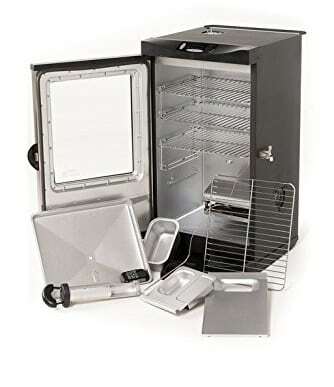 This smoker is simply great whether you are a first time buyer of a smoker or you are looking for a decent, affordable smoker to prepare good quality meats in. 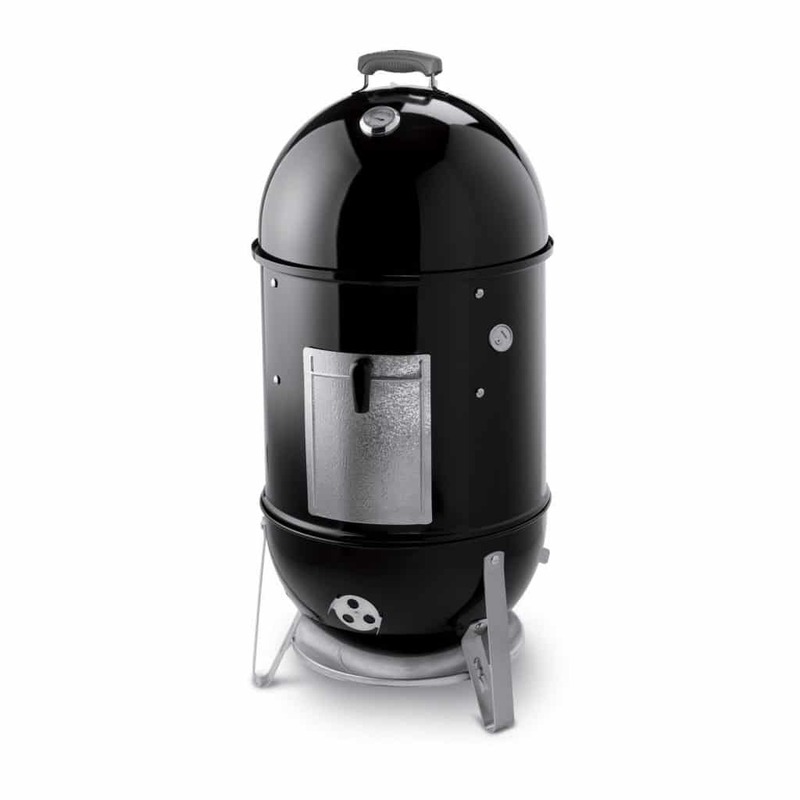 The Weber Smokey Mountain 18 inch Charcoal Smoker is made in a capsule-like shape that is made up of a glossy porcelain which gives it quite an attractive appearance. With this high quality smoker you get two heavy plated cooking grates, cookbook, and lid thermometer. With its unique capsule shape, there is plenty of room to cook lots of meat for a small family or about 4-6 people at once. You would be able to cook a rack of ribs and a whole turkey all at one time. The door is designed with non-rust aluminum, and there are four air vents to allow for the proper amount of circulation when needed. The cooking surface is 18 inches in diameter; which is plenty of space to smoke lots of good meat for your family and your guests. The color black of this grill makes it quite appealing and it easily blends in with any outdoor patio furniture or décor; it’s quite versatile which, is something that many people like about it. If you are someone who enjoys eating smoked foods then you would most definitely enjoy this smoker. After reading about the specs of the Smokey Mountain 18 inch Charcoal Smoker, and deciding that you like the product, you may be interested in some of the accessories also made by the Weber brand. Continue to read along to learn about a few of the handy accessories available to purchase. Now these gloves will cost you about $30, but they are well worth the price to give your hands the protection that they need while you are grilling. The palms of these special gloves are made of silicone and quite necessary for those of you that plan on using your grill quite often. The Weber Snap Check Thermometer can quickly check the temperature of your steak or any other type of meat you are preparing in your grill. This thermometer gives you a reading of the food’s internal temperature in 3 seconds. It’s priced at around $90. 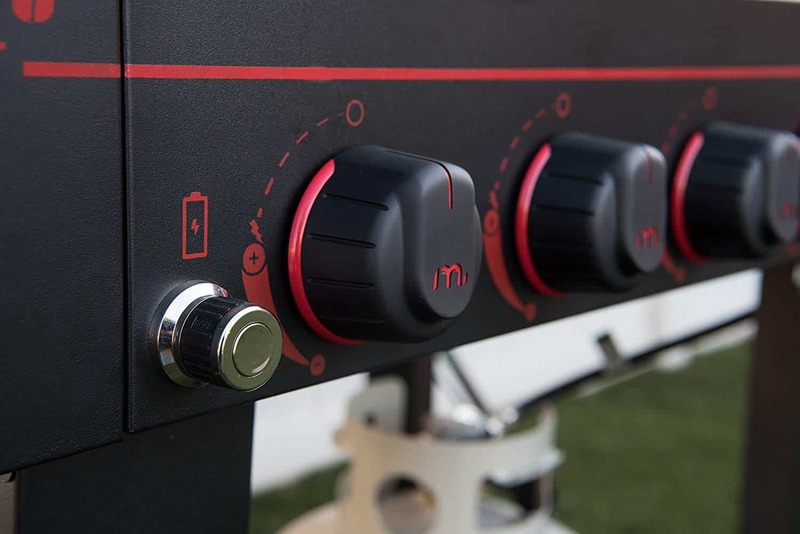 This tool helps to get your charcoal burning a lot quicker so that you can get to grilling fast! 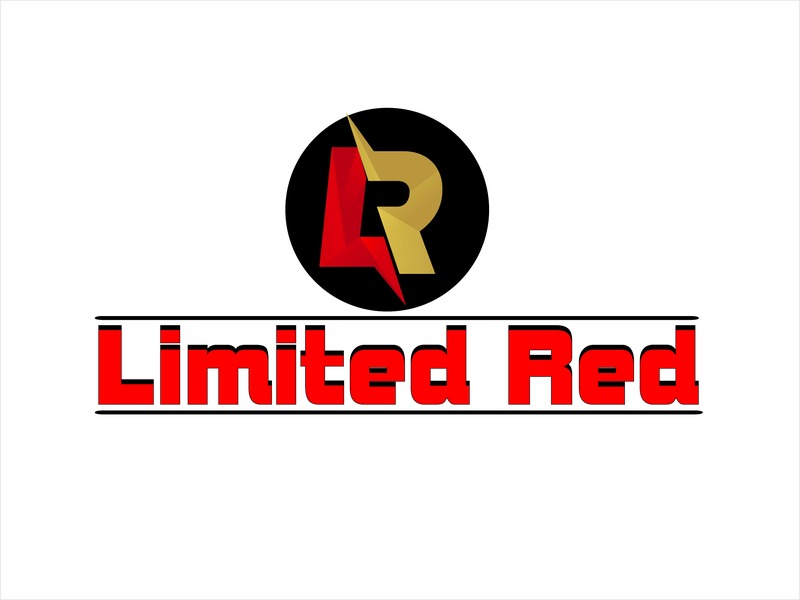 It’s quite useful, and affordable, coming in at about $15. So there you are, this is all you need to know to determine whether or not the Weber Smokey Mountain Cooker is the right grill for you!